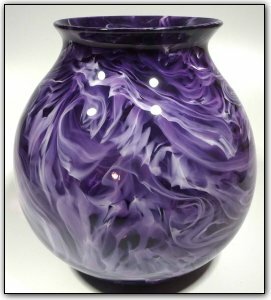 This urn style vase features dramatic swirls of purples and white, swirling throughout. Such a perfect pairing of elegant form with a one of a kind unique pattern. Make sure to zoom in to see just how intricate the colors are, and the way they interact with each other in lacelike patterns.